Can Yaman: A Handsome Lawyer on Screens | Do You Know Turkey | Turkish Tv Series & Drama, Turkish celebrities, travel information about Turkey and Turkish cusine. Can Yaman is definitely is the “hot guy” of 2018. The handsome actor became so popular in recent months due to his role in the new tv series Early Bird (Erkenci Kuş). Turkish television has great actors, like Kıvanç Tatlıtuğ, Kenan İmirzalıoğlu, Engin Akyürek etc. 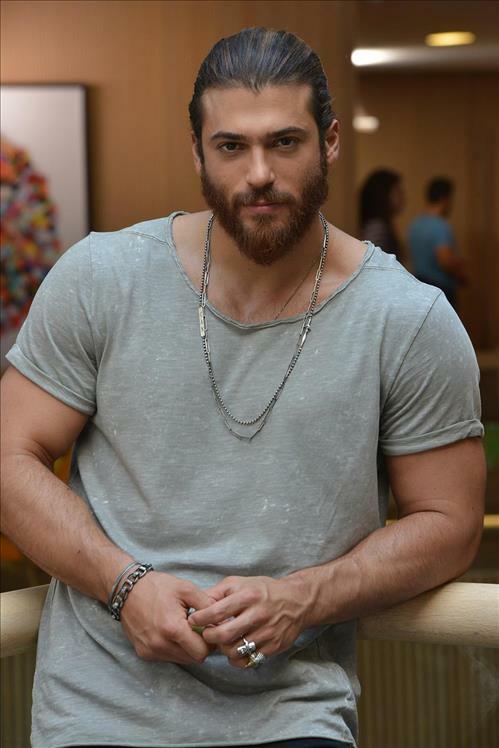 At first look Can Yaman is a mixture of the best looking Turkish actors. He has a body like Kıvanç Tatlıtuğ, tough eyes like Kenan İmirzalıoğlu and romance like Engin Akyürek. Can Yaman was born in Istanbul, Turkey, he has Albanian family roots are based in Kosovo. He studied at Bilfen Kolej for the first and middle school, then studied at the Italian High School. Can Yaman finished as a top student in high school. Can Yaman went to America under the student exchange program and graduated from Law Department of Yeditepe University in 2012. He is the nephew of football coach Fuat Yaman. His real profession is as a lawyer. The handsome player is 183 cm tall and 70 kilos. It has black hair and brown eyes. He’s a basketball player. After graduating from the Faculty of Law, Can Yaman worked as a one-year apprentice attorney at the beginning of 2014 at a world-renowned corporate company called Price Waterhouse Coopers. Yaman stepped into acting with the insistence of his environment and studied acting at Cüneyt Sayıl. Can Yaman, who has many merits besides acting, is a licensed basketball player and also interested in Football, Guitar, Piano, Drum, Table Tennis, Rafting, Badminton and he speaks Turkish, Laz, Italian, English and German. His first acting experience was in 2014 with the film Gönül İşleri, directed by Türkan Derya. In his other works, he starred alongside successful actors such as Bennu Yıldırım, Selma Ergeç, Timuçin Esen, Sinem Kobal, Fırat Çelik and Sezai Aydın. In 2015, he starred in the famous tv series İnadına Aşk with Açelya Topaloğlu. The series is directed by the famous director Osman Sınav. In 2016, he starred in Hangimiz Sevmedik and played as Tarık, starred with Selen Soyder, Cengiz Bozkurt, Altan Erkekli, Gul Onat, Bulent Sakrak, Mehtap Bayri, Deniz Oral and Veysel Diker. In 2017, he also appeared in the television series “Dolunay – Full Moon” (Star TV). In the summer of 2018, he starred in the television series oğlu Early Bird – Erkenci Kuş with Demet Ozdemiroglu. He was seen with Açelya Topaloğlu with some time ago. Can Yaman and Açelya Toplaoğlus share the lead role in a show called Inadına Aşk. Then, he was seen with Bestemsu Özdemir. Can Yaman does not prefer to live his private life in front of cameras, his lover right now is unknown.